Hob Nob is nestled under the oldest and largest remaining Japanese elm in the village of Carmel. It features front and back porticoed balconies and stonework that begin at the street and lead to an entrance terrace. 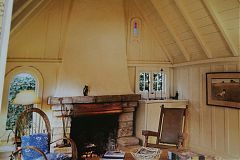 Inside, the living room is a large central space with fireplace central to the room. There are two bedrooms and two baths within the home, a modern kitchen and a spacious loft, study area above the main floor area. There is also a converted garage with a main floor and loft in the back of the property which sleeps four. 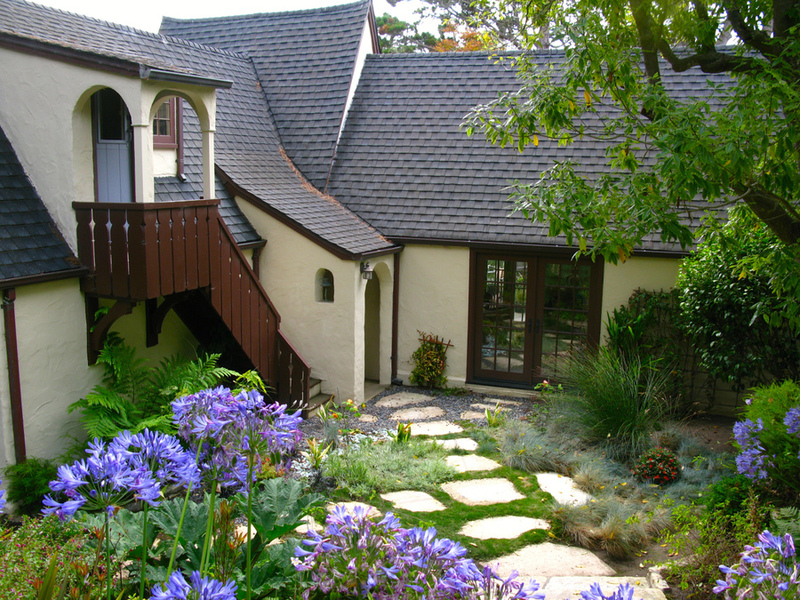 Hob Nob is within two blocks of the beach and is located within the 'golden triange' of properties within Carmel. Hob Nob is located two blocks off of Ocean Avenue, within two blocks of the main beach area. From the home can be heard the ocean waves and from the upstairs can be seen peek-a-boo views of the Pacific Ocean. It is located within the prime area of real estate, so named the "golden triangle." Yes, it can be arranged for aprox $120 per week. Carmel is a two hour drive south of San Francisco. It is adjacent to the most picturesque scenic drive along the Pacific Coast, the Big Sur area. It is a six hour driving distance from Los Angeles. The home is located within easy walking distance of not only the beach but also the town proper. A car is available for guests' use. We are two retired gentlemen who lived in various parts of California over the years. We love fine living and excellent architecture. This home has both. 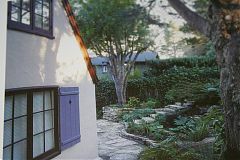 This is one of the great historic cottages of Carmel. It has been lovingly restored, furnished, updated and cared for so that every original detail is intact, yet it meets today's need for easy living. Convenient to everything that this delightful town as to offer...from beach to restaurants to shopping...it is the perfect place to relax and enjoy California living at its very best. My brother got married during our stay so it felt very magical. we still talk about how much we loved this stay and it is a favorite. 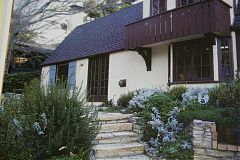 the house is on the historical register and is very special and in a very special part of California. we would love to return. I talked with the owners before the trade so I think we both had a good understanding of each other's expectations. I talked with them during and at the end of our stay so I felt we had good communication. I thought the property was as described on ivhe website. 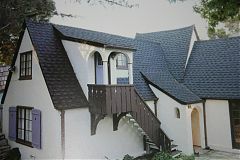 it is right in Carmel close to the ocean and town. it was great as everyone could go their separate ways and get around on foot. there are of course great areas close by to explore as well. The staff of ivhe as always try to get back to every request for a trade as soon as possible. They aid in the communication if needed otherwise do not interfere. 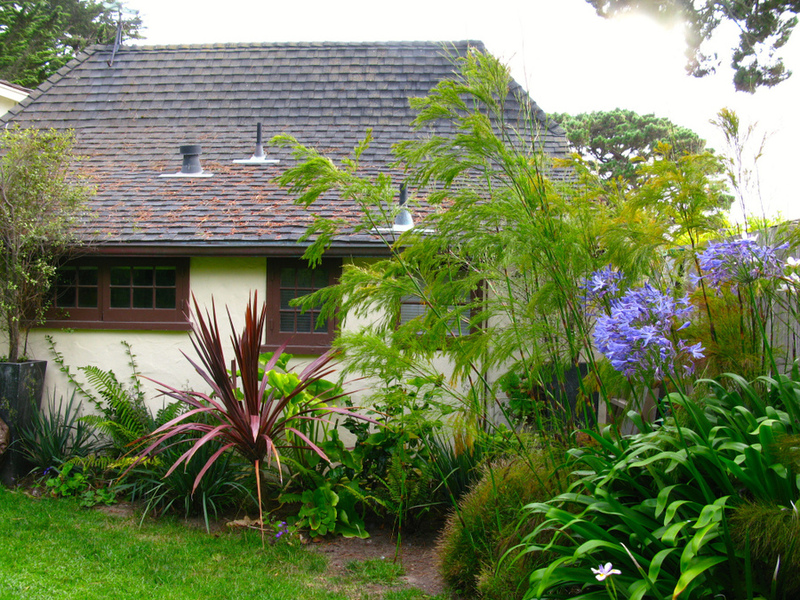 We had a wonderful stay with our family at Hob Nob , a comfortable and obviously much loved second home, ideally located in a quiet neighborhood in Carmel by the Sea. We found we were within walking distance of everything - the beach , the little town , and several fine restaurants. All the arrangements were made with no problems whatever , the landlords were very accommodating, and the support from the IVHE team superb. Out experience was exactly how I think all IVHE trades could be - simple and hassle-free : almost as if we had been lent the property by an old friend.